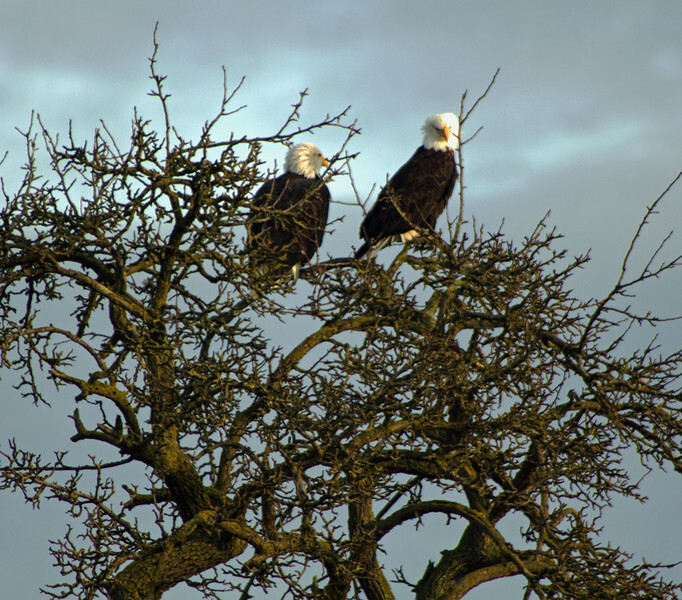 Eagles perching in a leafless tree on a dark Autumn day. The clouds broke letting in the rays of the sun just before it set. This is a moment I wish I had a strong telephoto lens.